These are 3 types of CVs, their advantages and disadvantages are discussed so that you as a job seeker can make an informed decision on the best CV for you to use. Explore these 3 types of CVs, their advantages and disadvantages. Explore these 3 types of CVs. Check their advantages and disadvantages as well as examples of the 3 types of CVs. As a job seeker, it’s important that you know how these 3 types of CVs differ from each other. It’s also vital that you know their formats and why they are used by job seekers. 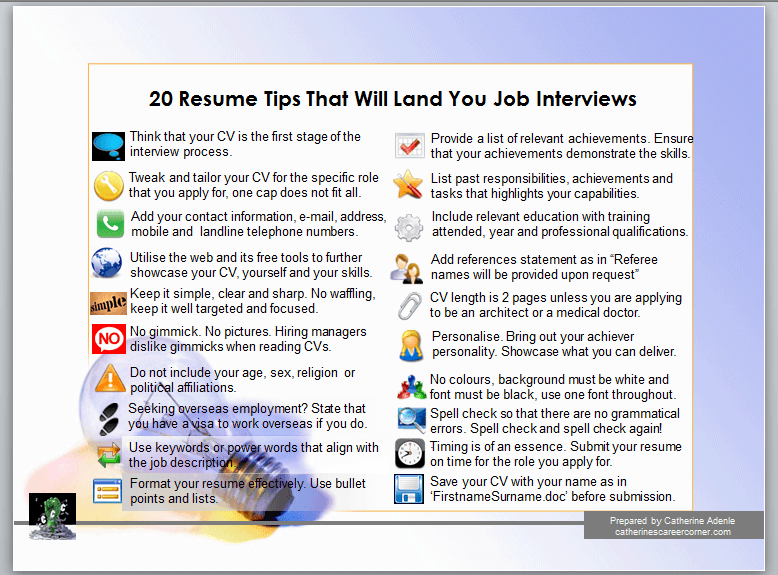 Putting together an effective CV is easy once you know how to do it. In addition, once you know the right CV format to use, it’s a case of taking all your skills, achievements and job experience and tailoring them to the job that you’re applying for. However, how you format your CV or Resume is one of the most important primary decisions for you to make when you want to write and send an effective CV to a potential employer. If the format of your CV is not right, it will affect how you showcase your information in terms of skills, achievements, career highlights and qualifications. Here we explore these 3 types of CVs and with reasons why you will use one of them. 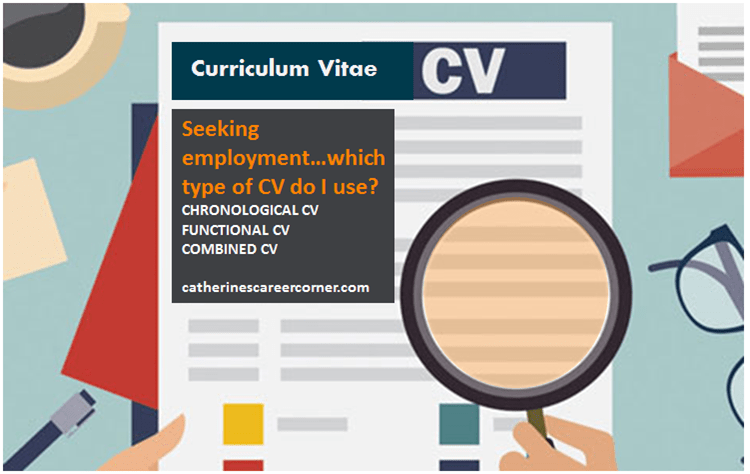 We have also provided a sample of each of the 3 popular CV formats for you to tweak. The first one of the 3 types of CVs is a Chronological CV – It focuses on presenting the candidate’s experience on an employer by employer basis, with the posts being listed in reverse chronological order. It contains detail of education and qualifications, together with hobbies. Some chronological CVs also contain a brief personal statement at the front which sets out the key skills and strengths of the candidate. This is the most common type of CV. Personal profile or career objectives. This should not exceed 5 lines. Employment in reverse chronological order. Under each employer, you should set out a number of bullet points which describe your key achievements. In order to be fully effective, you should ensure that you use power words. Particularly useful for those applying within the same industry as it will demonstrate your career progression. It is the favourite format for most employers, who simply want to get a feel for your career to date. If you do not have many achievements across your career, taking a job by job approach will save you having a separate “Achievements” section (characteristic of Functional CVs) which may look tiny. If you have gaps in your employment which you would rather not discuss, a chronological CV will make them more obvious. 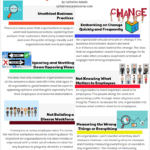 If you are changing caree direction, a chronological CV will add little information to your new employer, who will be more concerned about the transferable skills that you are bringing rather than the detail of your experience in an unrelated sector. The second one of the 3 Types of CVs is a Functional CV. Unlike a chronological CV, a functional CV places the emphasis on your skills and expertise rather than the chronology of you employment to date. A functional CV typically starts with a personal profile which highlights the achievements, skills and personal qualities that you possess. This is then followed by a succession of sections, each relating to a different skill or ability. These should be ordered in decreasing order of importance. Instead of focussing on any particular job, you should describe your experience in its glabality. Since you are not focussing on any particular past employment, this means you can include any skills or experience gained in voluntary or unpaid work. Here are examples of functional headings that are commonly found. 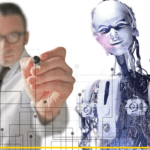 If you have changed jobs frequently, if your experience is a mish-mash of seemingly unrelated posts or if you have several career gaps, a functional CV will help place the emphasis on what you have to offer as a whole rather than on the chronology. If you are changing industry, a functional CV will help the recruiter focus on your transferable skills. If you are a more mature applicant, a functional CV will take the spotlight away from your age. If you do not have much work experience, you may struggle to highlight achievements in a separate section. A functional CV will not enable you to highlight consistent career progression. 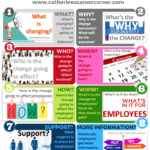 If you wish to convey career progression, you should adopt a chronological format. To conclude the CV, you should then a list of employers and employment dates, as well as a section on your qualification. The last section should focus on your personal details and hobbies/interests. The final one of the 3 types of CVs is a Combined CV. It follows both the chronological and functional formats, which makes the CV slightly longer than normal. Perfect format if you have a strong career progression with many achievements. Failing to get the attention with the right profile at the start of the CV may result in the whole CV remaining unread. Not suitable for those with little experience or achievements. Now that you have explored these 3 types of CVs, you will know the right one for you. Download the sample, tweak it and add your details, achievements, skills, education information in order to make it your own CV. Need to add more tips to the ones above or comment on the 3 types of CVs explored above? Let’s hear from you. Add your comments below.